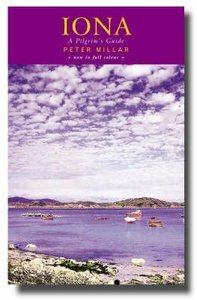 Completely redesigned and fully illustrated in colour throughout, this essential companion for all pilgrims and visitors covers all the principal sites on this beautiful island which is one of world's most visited holy places. During the summer, many hundreds of visitors arrive daily, and the Iona Community runs three residential centres which are fully booked every year. Every wednesday, there is a pilgrimage around the island and this guide follows its route, stopping at all the principal sites to reflect on the island's history rooted in Celtic spirituality, and to pray for the needs of the world. Iona is not a place of escape - its spirituality today is focused on justice and peace for the world. About "Iona: A Pilgrim's Guide"